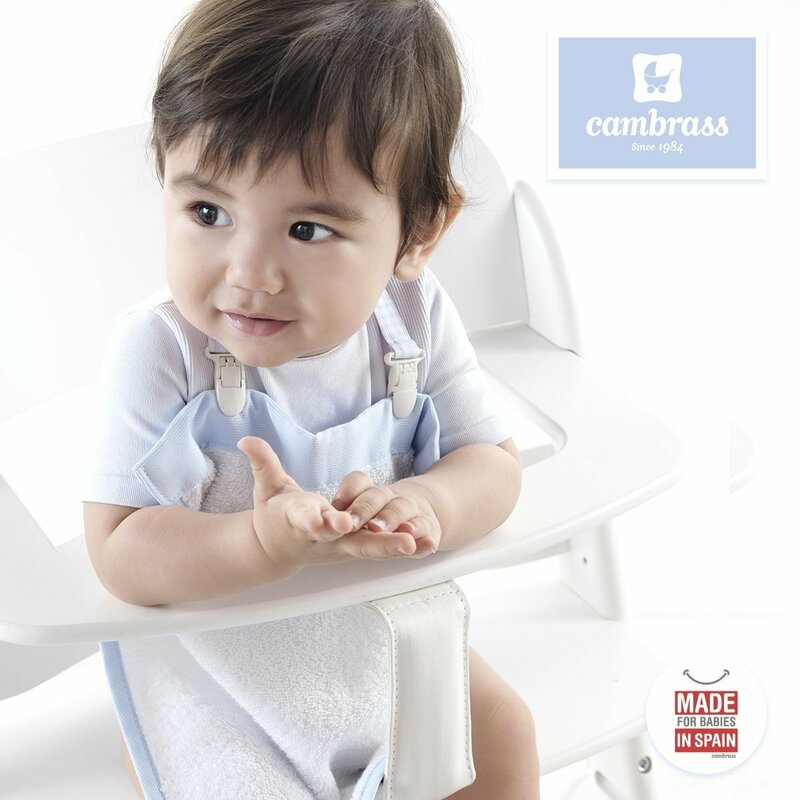 The Cambrass double clip ribbon is very practical for carrying in the nappy bag, as it can be used for improvising a bib at any time with a towelette, serviette or handkerchief. 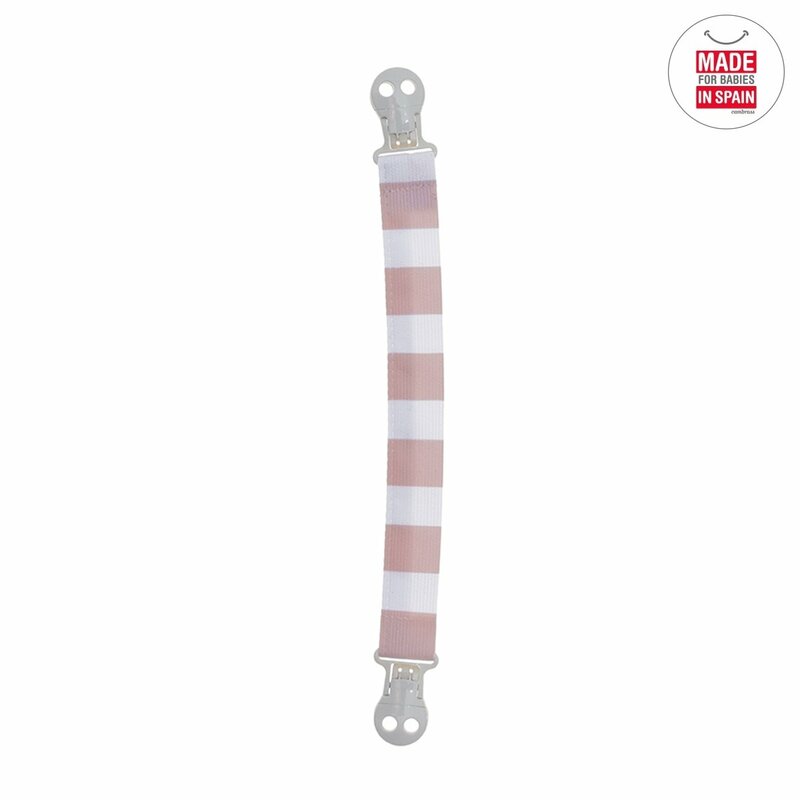 It can also be used to fasten a toy to prevent it from falling onto the floor. 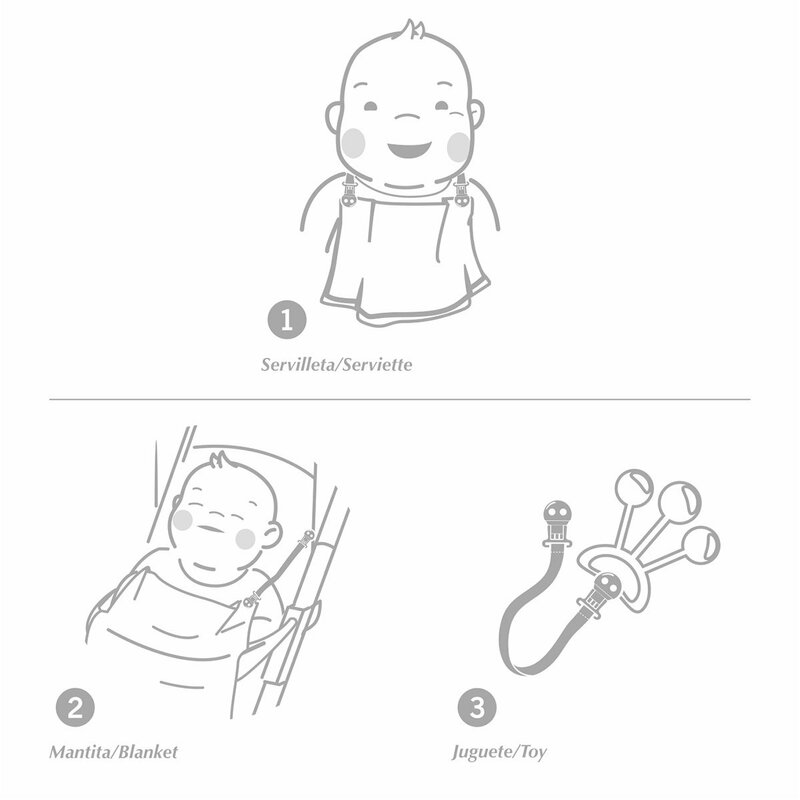 In this way, by simply carrying the double clip ribbon in the nappy bag (it takes up very little space), the baby can be fed outside of the home and, at any time, without the risk of soiling its clothing. 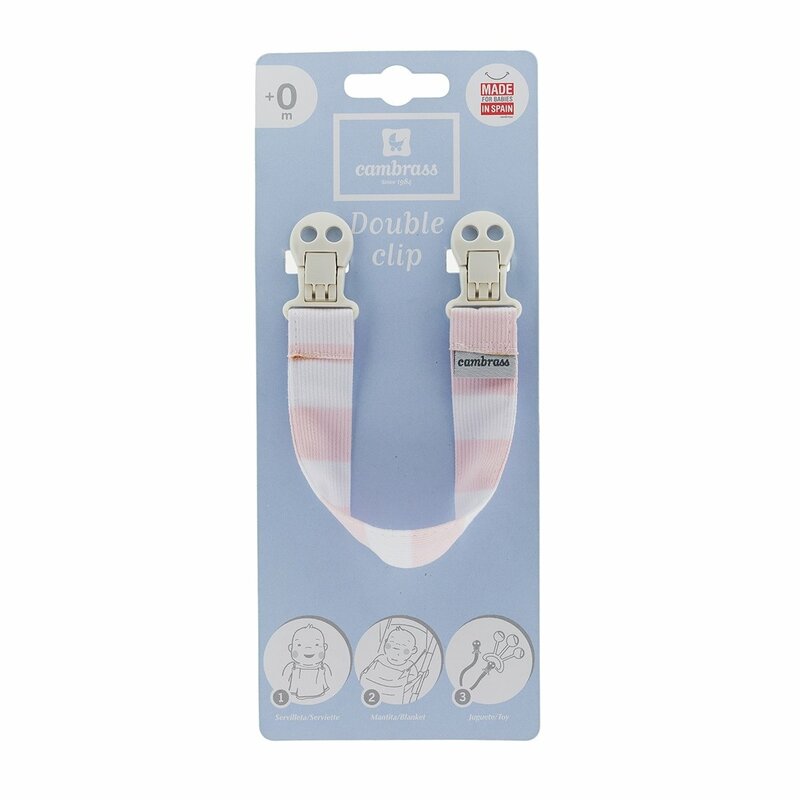 Since it can be adjusted to the size of the baby s neck, the double clip ribbon can be used from birth through all of the stages of the baby s growth. 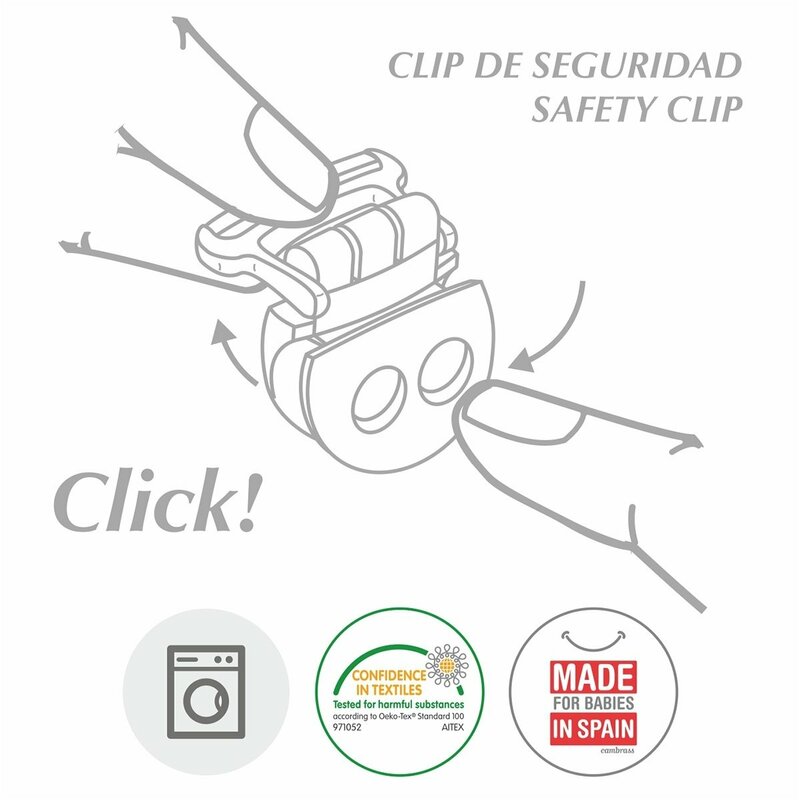 The system for adjusting the clips, in addition to offering the best quality on the market, guarantees that they will remain securely fastened even when the baby gives the improvised bib a strong tug. The selling pack (which includes two units). 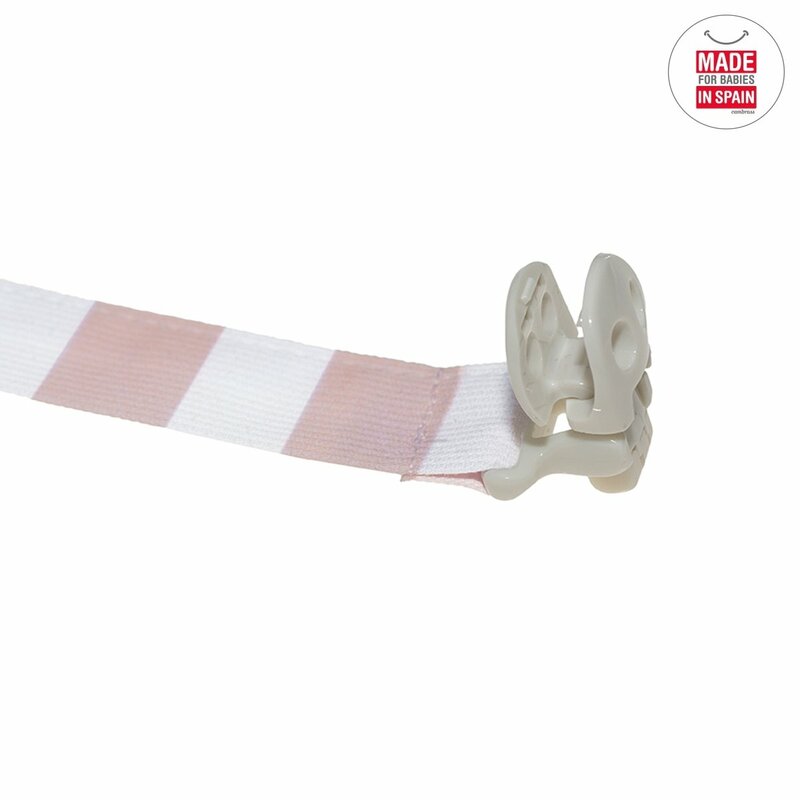 The innovative label attached (mandatory by law) can be easily detached from the ribbon by lightly pulling it off, thereby preventing possible friction with the baby s neck.